The wrong bag quickly becomes an unwearable burden at a festival where you have to move around a lot. 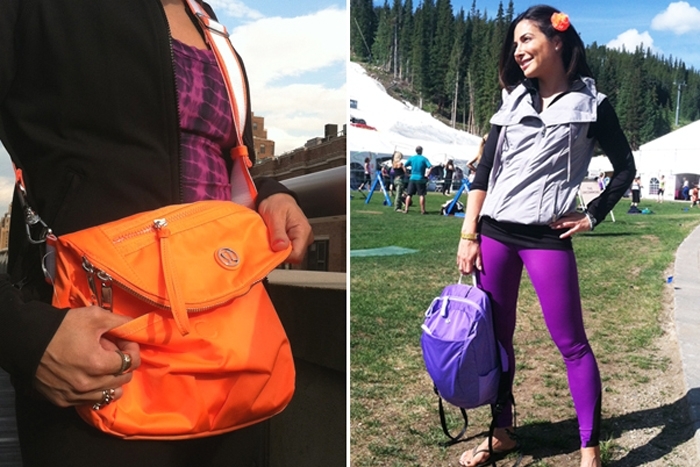 Ditch your pinch-a-nerve-purse for Lululemon's Festival Bag ($68) or Run From Work Backpack ($98). These bags are made to carry your outdoor summer festival essentials without stressing out your shoulders. Designed with water-resistant polyester fabric, both bags can endure mud, sweat and unpredictable festival weather to protect your valuables. They feature mesh pockets to stash your iPhone, wallet, anti-bacterial wipes, sunscreen, cold pressed juice, goji berries and more! The Run From Work Backpack has a pouch for dirty clothes or what have you (maybe a comfy pair of flip flops for later?). It's lightweight with a contoured shape that's comfortable against your back and doesn't bounce up and down when you do.